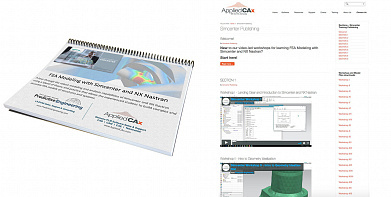 This nearly week-long course taught by Predictive Engineering and Applied CAx takes the user from the ground floor through FEA best practices. It then moves into advanced subjects dealing with manifold and non-manifold surface modeling, detailed plate meshing, and tet versus hex meshing. The optional final day on Friday will finish with a focus on customization and automation using Excel and FEMAP’s own API interface for an additional $575.